Apply small quantity on affected area. For external use only. 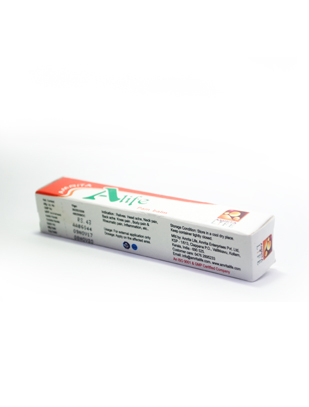 Amrita alife pain balm is a dark yellow coloured preparation of centuries old classical combination of 8 herbs which ensures fast remedy for headache,bodyache and common cold. Since colour is natural there may be variation on keeping. Ayurveda is the oldest system of medicine known to the world. A system that relies on nature to cure ailments and bring a human body to its full strength and vitality. More than a treatment stream, it’s a way of life. With the blessings of Sri Mata Amritanandamayi Devi, affectionately known worldwide among her devotees and admirers as Amma, meaning mother, Amrita Life’s state-of-the-science Ayurvedic medicine manufacturing unit began functioning since nine years. 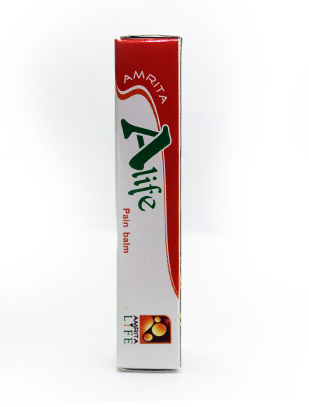 Amrita Life aims to bring in the greatness of Ayurveda into everyday life. Through organic products as also traditional medicines.